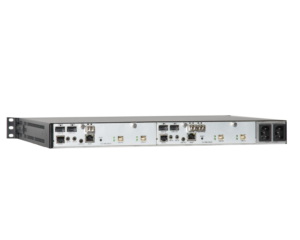 Space Saving at the Desktop & Rack The rack mountable Module Chassis 4 is ideal for high density applications, where space may be limited. 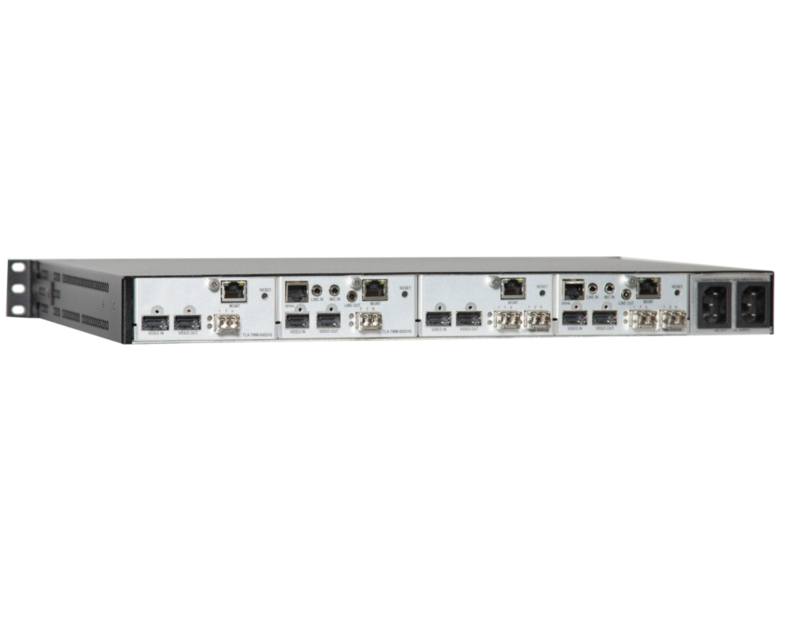 The 1RU, modular design is configurable with up to two TLX KVM or up to to four TLX Video transmitter or receiver modules. 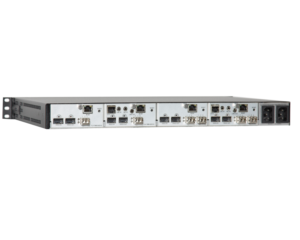 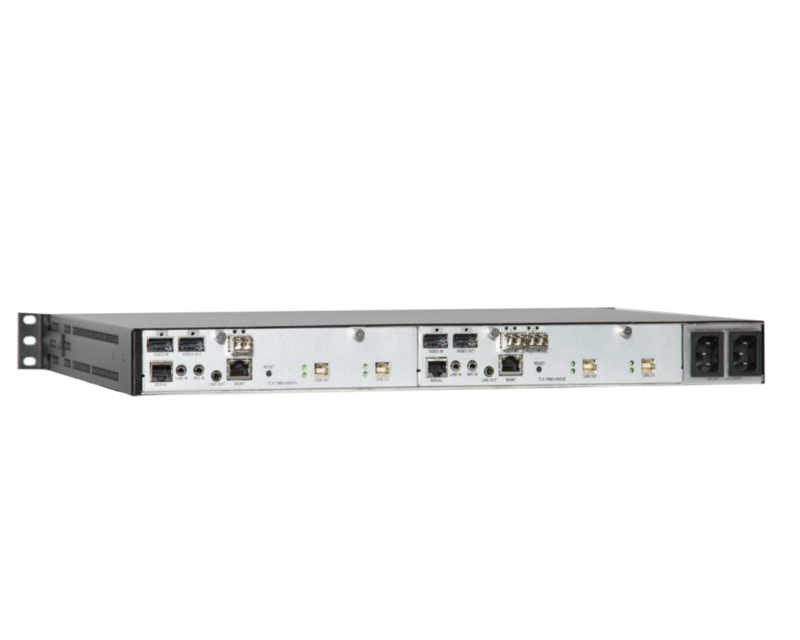 Chassis may also be configured with a single TLX KVM and up to two TLX Video transmitter or receiver modules and offers redundant and hot-swappable internal power supplies.